If you are looking for fun things to do in Ballito, head to the Sugar Rush Park. This family-focused destination caters to everyone in the family with its wide-open spaces, secure parking, refreshment facilities and a host of activities. 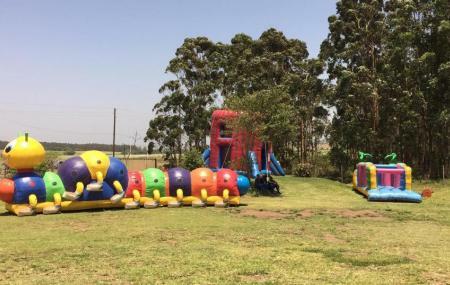 Situated on the KZN North Coast, the Sugar Rush Park is not very far from the coast. Great place for kids and families. Lots of fun! Not such great service at the restaurant. But we didn't stay long anyway. Would definitely go back though. Awsome place for all. Trampoline jump area is amazing. Lovely jungle gym play area as well as yummy food. Take cash for petting zoo. Very accessible, great bikes at the Holla Trails rental. Red trail was well marked, both scenic and challenging. Digs Kitchen house lager tasted so good. Super venue for an event except the bar and food can't cope with the volumes and there are always long queues. Toilets are clean and there is a clean up crew picking up litter through out the event.